'Clone', 'Terra Incognita', and 'Oroborus' made it onto the setlist! Whether you decided to check out French metal band Gojira because you caught their riduculously awesome tour teaser video on Bandsintown a few months ago, or because you're obsessed with their most recent release, Magma, we're glad you did—and we were right there with you. In NYC, the quartet—brothers Joe Duplantier (vocals, guitar) and Mario Duplantier (drums), Christian Andreu (guitar), and Jean-Michel Labadie (bass)—brought their raw energy to Terminal 5 with openers Tesseract and Car Bomb for a night that saw various band tees whirling around the venue while fans moshed and crowd-surfed everywhere. Completely packed with everyone from Gojira fans to other heroes of the genre like Metallica and Lamb of God (as noted visible through outfit choices), Terminal 5 was totally energized from beginning to end. The evening's main act came with powerful vocals whose live versions sounded almost exact to their album counterparts, impressing new and old fans alike. Tracks off of Magma, though, were extra heavy-hitters perhaps allowing each: "Only Pain", "Stranded", "Silvera", to state that they were here, along with favorites like "Clone", "Terra Incognita" and "Oroborus". Unlike some other Gojira concerts, the T5 show saw Duplantier on his "best behavior" since there was a lot of family members from the band in attendance. Either way, the musicians', whose new album has been in the works since late 2013, gave us the best reason ever to head out to a show on a Sunday night. 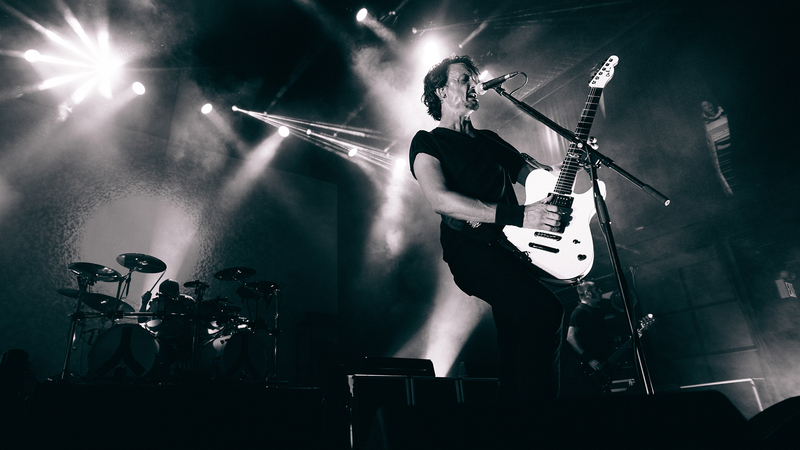 Check out the photos below and Track Gojira on Bandsintown so you don't miss one of their concerts.